Fox Business host Lou Dobbs, a close informal adviser to President Donald Trump, suggested in a Thursday tweet that at least nine explosive devices sent by mail to top Democrats this week were “fake news” invented by the left. Dobbs is one of a seemingly growing group of conservative activists and talking heads who have or are actively promoting the conspiracy that Democrats planted the mail bombs to fuel support for the party in the weeks leading up to the midterm elections. Dobbs later deleted the tweet. Fox Business did not immediately respond to a request for comment. 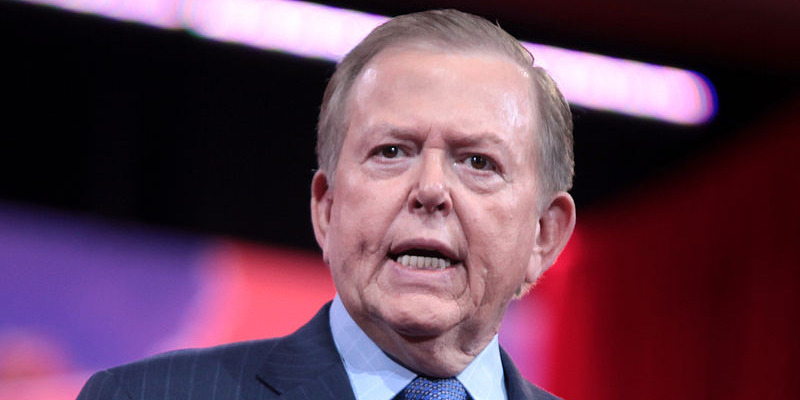 Dobbs is one of Trump’s most loyal supporters, and reportedly regularly calls in to White House meetings to advise the president on a range of issues. Trump even puts Dobbs on speakerphone during sensitive Oval Office discussions, The Daily Beast reported earlier this year. A host of other prominent conservative talking heads and activists promoted fringe conspiracies following the discovery of several of the packages on Wednesday. Some have suggested that Democrats or “leftists” planted the bombs to fuel support for the Democratic Party two weeks ahead of the midterm elections. Popular right-wing talk radio host Rush Limbaugh suggested on his show on Wednesday – soon after reports that devices were sent to former Secretary of State Hillary Clinton and former President Barack Obama, as well as to CNN’s New York office – that the act was committed to fuel support for Democrats two weeks before the midterm elections. Candace Owens, a frequent Fox News guest, tweeted there was “a 0% chance” the bombs were sent by someone with conservative leanings, instead accusing “leftists” of staging the attack for political gain. Owens later deleted the tweet. Former Vice President Joe Biden, billionaire philanthropist and Democratic donor George Soros, former CIA Director John Brennan, and Rep. Maxine Waters, a California Democrat, were among the targets of the packages. Each has been critical of President Donald Trump and has in turn been criticised by Trump.